Maruti Ertiga LDI going strong! With the soaring petrol prices, I have switched to diesel car. Being a family man I bought Maruti Ertiga LDI for me and my family. I am quite happy that I bought Ertiga diesel 2 weeks ago, as the price of petrol rose by Rs. 7.50 per litre, which is terrible. However, if looking at my new Maruti Ertiga LDI, the MPV has a lot of space, which can easily fit in 5 adults. Apart from the smart seating arrangement, the car also has ample of luggage storage space, which makes our long trips comfortable and relaxing. The other features like air conditioning system with heater, power steering, and remote fuel lid and boot opener add more charm to the car. Coming to the mileage, the engine is quite fuel efficient and delivers and impressive mileage of 17.55 to 20.77 km per litre. So overall, I’m quite happy with my Ertiga and suggest you too if you have any plans to buy an MPV for you and your family. 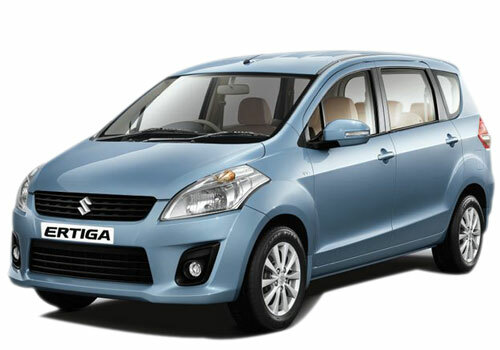 Overall,Maruti Ertiga affordable car for big family.